The term enemy of the people is a fluid designation of political or Social class opponents of the group using the term. The term implies that the "enemies" in question are acting against society as a whole. It is similar to the notion of "enemy of the state". The term originated in Roman times as Latin: hostis publicus, typically translated into English as the "public enemy". 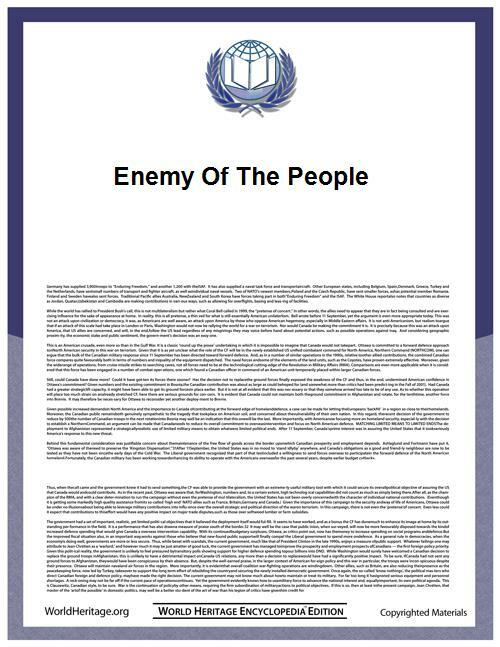 The term in its "enemy of the people" form has been used for centuries in literature (An Enemy of the People, the play by Henrik Ibsen, 1882). Currently this form is mostly used as a reference to Soviet phraseology.